From now on, you can use all the existing java/dom libraries such as an XPath2 engine like saxon, xalan, whatever you want working on mozilla documents. This means tremendous power compared to (in their category outstanding, but still limited) tools like RubyfulSoup or Mechanize, stemming from the power of XPath to query XML documents. At the moment, I am discussing different integration issues with the Mozilla guys, since the connector should be the part of Mozilla and the Eclipse editor in the future. I am working on a small screen-scraping utility written in Ruby, and since I have been working previously with RubyfulSoup, I wanted to give WWW::Mechanize a try this time. After some googling i have found the answer: I had to install libopenssl-ruby, and the error was gone. I have just installed Ubuntu Dapper Drake Flight 6 on my desktop machine, and because I had had different problems to install Rails from scratch several times (even the recent session was no exception), I have decided to write a step-by-step guide, which assumes a clean, fresh install of Ubuntu ( i.e. 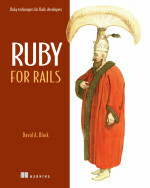 at this point you do not even have Ruby on your machine) and leads you through installing Rails and creating a working test application. Why is this writeup better than any other how-to-install-rails tutorials out there? Lets denote your working directory (the root directory where your future rails project s will reside rails_projects). Point your browser to http://localhost:3000/admin to see the result. If you have any problems, please leave a comment, i will try to help you. Internet contains huge number of opportunities to earn money online. Simply create a site that you think has the potential to sell hot items using ruby on rails. Register a relevant domain name and purchase a web hosting service through hostgator, one of the better web host out there today. Get a internet connection through one of the wireless internet providers to upload your site. Work on search engine optimization to get a better traffic and also use affiliate marketing program for the same reason. Finally get a free voip phone service to contact customers directly. The pc to phone system is the most effective method of marketing. W3C Mozilla DOM Connector will be released soon! I am happy to announce that the much anticipated W3C Connector, after lots of coding, testing, bug fixing and several months of successful usage in a commercial product was proven worthy to be released to the public. If everything goes well, it will hit the streets next week. OK, but what the heck is the W3C Connector? The W3C Connector is a Java package which can be used to access the Mozilla DOM tree from Java, while implementing the standard org.w3c. * interfaces. This means you can use it with any standard Java package that is expecting org.w3c. * interfaces ( Xerces, Saxon, Jaxen, … ) to execute effective queries on the Mozilla DOM (XML/XSLT/XPath/XQuery operations for example). This is very nice and all, but why should I care about it? First of all, malformed HTML code: Despite the continuous efforts of the W3C and other organizations/individuals to remedy this problem by promoting X(HT)ML and other machine parsable formats, a lots of web pages still have malformed code in them. Based on the level of non-standardness, parsing such a page can be more than a moderate technical problem: in practice there are pages which can not be parsed to produce an usable input. You can not use a standard query language like XPath or XQuery – these languages require a XML input, which you can not ensure because of the previous point, so you are left to roll your own code to process the parsed data. Of course this is not a big problem for a crafted programmer, mainly if he is equipped with tools like HTMLTidy to address the first point, RubyfulSoup or similar to tackle the second. However, even these (and other) tools and a cool programming language are still just easing up the pain of effective screen scraping, but not offering a generic solution. If you want to scrap a lot and different pages, these problems in practice will cripple your efforts (or at least make it last very long time in practice). How does the W3C Connector solve this problem? By solving both points: The Mozilla DOM is a structure reflecting how gecko (the mozilla rendering engine) renders the page, and it always translates to valid XML (no unclosed tags or otherwise malformed code), and because of implementing the org.w3c. * interfaces you can use very robust and effective XPath packages (like Saxon) to query the document for effective HTML extraction. There are of course a lot of other possible uses – the connector is not a tool itself, but a gateway to the world of W3C compliant XML tools – it is up to you how to leverage the power it gives you. The W3C Connector will be released officially as the part of theATF project. The code is under the last review at the moment, it is possible that I will come out with a preview release before the official one. You are now ready to generate your model. And you achieved the same result as with the first method! Migrations are DB agnostic - The 'write once, use everywhere' principle really works here! You can change the database as much as you want, and the data you have already there is not affected. You get very effective versioning: track changes, concurrent versions, upgrade/downgrade your schemas easily! You can generate DB schemas from migrations. And possibly much much more... I am a newbie too! In my oppinion, judging based on the Rails mailing list discussions, migrations are accepted more and more as the definitve way of creating, maintaining, versioning your DB models - so everybody considering serious Rails development should give them a look!